Women are not the only ones who should care for their skin! Men also need to practice a good skin care routine to prevent wrinkles, acne, and dryness. If you are using a bar of soap to wash your face in the mornings, it’s time you consider making the switch to a quality face wash for men. Bar soap dries out your skin and over time leads to wrinkles. To prevent this from happening, make the small change and invest in a wash designed for your specific skin type. Consider pairing this product with other essential tools including a professional shavette, a natural beard soap, or a cordless beard groomer to achieve the perfect grooming regimen. What Is Face Wash and Who Should Use It? Making face wash a part of your daily routine cleanses your skin, wakes you up in the mornings, and makes you feel better throughout your day. Who should be using it you ask? Everyone! To enjoy the healthy skin, you need to get rid of germs and dirt that accumulate every day. There are several reasons you need to invest in a face wash if you haven’t done so already. Washing your face every day eliminates dead skin cells, germs, and dirt from your face. This leaves your face clean and makes it ready for lotions or creams to be applied. Skipping this step will only trap all the dirt and bacteria, leading to skin issues such as acne. It’s important to know the difference between these two skincare products. You know what a face wash is, so how does it differ from an exfoliator? The main difference is that exfoliators contain abrasive ingredients to remove all dead particles from your skin. They pave the way for new cells to grow. For this reason, it’s only advised to exfoliate 2-3 times a week. In contrast, a face wash should be used daily to get rid of the grime from sweating, bacteria, and just being out and about. If your skin becomes irritated often or is prone to rashes and acne, you most likely have sensitive skin. Some men suffer from an excess amount of sebum. Opposite of oily skin types, men who don’t produce enough sebum suffer from dry skin, making it more likely for it to become damaged from the sun, wind, and toxins. This type is one of the more challenging to treat because it means that your skin is oily in some areas but dry in others. We suggest using a sensitive face wash and washing your T-zone a few times throughout the day. If wrinkles or smile lines are beginning to appear on your skin among other signs of aging, you need a wash that is going to rejuvenate and hydrate your face. Regardless of the skin type that you have, buy alum block to help with discomfort through your grooming routine. If you have a beard and suffer from dandruff, consider looking into the best anti-dandruff shampoo for men available followed by the best beard conditioner. You always want to read the label within a facial cleanser prior to purchasing. Use this list to understand and familiarize yourself with the ingredients that you should look for as well as those you need to avoid. 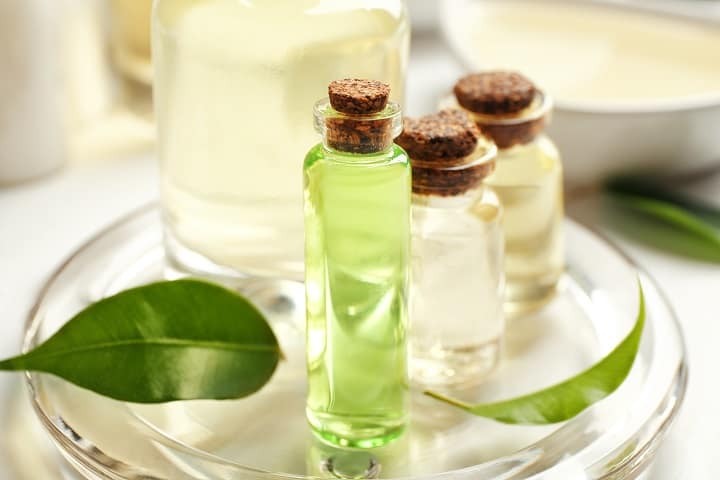 Tea tree oil needs to be used with caution especially if you have sensitive skin. This ingredient is very strong but is a potent antiseptic, antibacterial, as well as an anti-inflammatory agent. Chamomile is effective at decreasing irritation and soothing the skin. Bisabolol derives from this ingredient and is one of the substances that makes it so effective. Aloe Vera is good for men with sensitive skin as it is an anti-inflammatory ingredient that soothes. Salicylic acid is the way to go if you suffer from acne. This is an anti-acne agent that reduces pimples and breakouts. Glycerin is a good ingredient for dry skin. It’s often mixed with panthenol – another effective chemical to hydrate and moisturize the skin. Shea butter is extremely moisturizing. It’s rich in unsaturated fatty acids that protect against oxidative stress. This thick ingredient soothes and hydrates effectively. Vitamin E is essential not only for our skin but diet as well. When you apply this substance directly to your face, it locks in moisture and keeps out germs, dirt, and other bacteria. Natural oils are the best to clean oily skin without resulting in more sebum production. Consider oils like sage, grapefruit, or lemon as they are powerful antibacterial agents. Now let’s get to the ingredients that you need to avoid! Cheaper options will usually contain some of these chemicals because they are inexpensive, yet effective. However, this is not always a good thing because some ingredients speed up the degradation of your skin and can become dangerous. Sodium lauryl, ammonium laureth sulfate, ammonium lauryl, and sodium laureth are all sulfates you need to avoid. Even though they serve as cleaning agents, they irritate skin and encourage your skin to absorb other harmful chemicals. 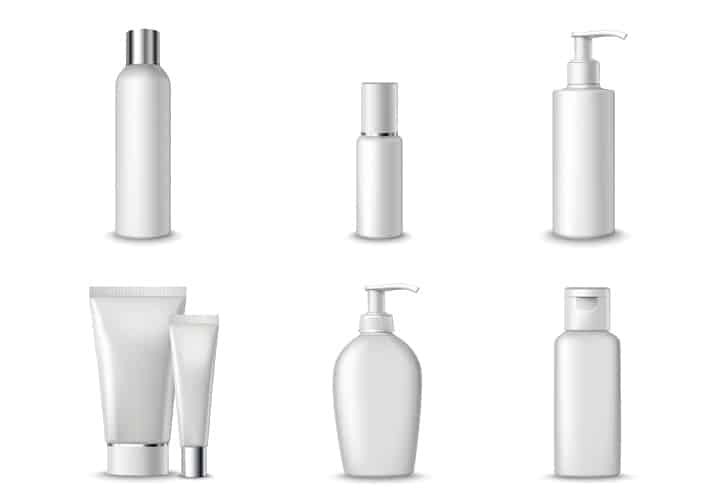 Parabens are preservatives that can mimic breast cancer due to its estrogen like properties. Fragrances may smell nice, but you should stay away from them since these chemicals can lead to acne, allergies, hormone disruption, or respiratory distress. If you notice any of these ingredients in your face wash, we suggest you dispose of it and look for one that will benefit your skin. There are two times in the day when you need to wash your face: in the morning when you wake up and at night before going to bed. Before going to bed in the evening, you want to wash your face to remove the skin from all the toxins it may have acquired throughout the day. When you wake up the next day, you want to wash again. Why? Because pillows are covered in dead skin cells, germs, and other dirt. No matter how often we wash them, they’re prone to accumulating bacteria. Consequently, you want to use facial cleanser again the next morning. Doing so will ensure you have healthy skin all day long. Establishing a consistent daily grooming routine is essential to getting better results. Applying face wash is so much more than splashing water on your face and lathering it with this soap. Shower First – When you shower, the heat of the water opens pores and preps your face for the wash. If you don’t have time to bathe, use warm, not hot water for washing. Apply Face Wash – A small amount goes a long way when you have a quality facial wash. Usually, a nickel sized amount will do. Gently apply it to your face and rub it in using circular motions. Rinse with Cool Water – After cleaning out your pores, you want to close them by rinsing your face with cool water. This helps shut pores so that germs, dirt, or bacteria can’t get in. Dry Your Face – Avoid rubbing your face as it can stretch out and lead to wrinkles, irritation, or excessive oil. Instead, pat it dry with a clean towel. Apply Lotion – Now that your face is clean, follow up with a moisturizing lotion to hydrate and protect your skin. Consider using anti-aging serum, a wrinkle cream, among other skincare products of your choice. We want to mention that you should avoid using hand soap at all costs. The ingredients in a bar of regular soap are intended for your hands, not face. Using bar soap will damage your skin since it is much more sensitive than your hands. For this reason, invest in a facial cleanser. The right option for you depends on your skin type. If you have sensitive skin, you are better off with an option that is free of fragrances and made with all-natural ingredients. Consider a face wash that is hypoallergenic and specifically designed for sensitive types. If you have dry skin, consider a cleanser that will moisturize and hydrate. We suggest you use a face wash that has aloe, Vitamin E, almond oil, or olive oil-based ingredients. This will reduce the dryness and add an extra layer of protection. For men with oily skin, a coconut-based cleanser is a way to go. This ingredient helps get rid of germs and toxins without ridding your skin of its oils. If you have an aging skin type, look for options with antioxidants, collagen producing ingredients, and other anti-aging serums. 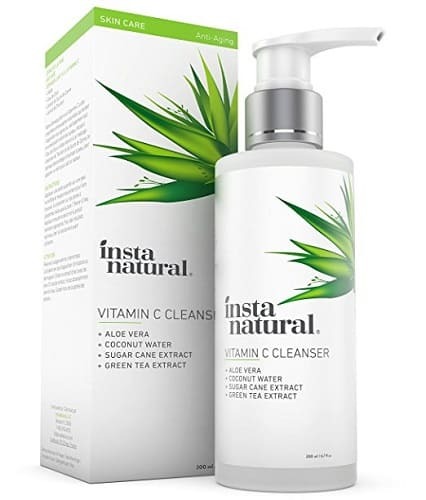 Vitamin C, green tea, chamomile, sugar cane, coconut water and aloe vera make the potent antioxidant formula of Insta Natural Cleanser that has multiple benefits for the skin. They work in rejuvenating, hydrating and refreshing your skin, while at the same time reducing and preventing the appearance of wrinkles, dark spots, blackheads and signs of aging. With the regular use, this product will help you wash away dead skin cells, making your skin look healthier and nourished. You can use it no matter the type of your skin without fearing that it will cause any allergic reactions. Although it doesn’t contain harsh, artificial ingredients, some men have noticed that it dries out their skin from time to time. 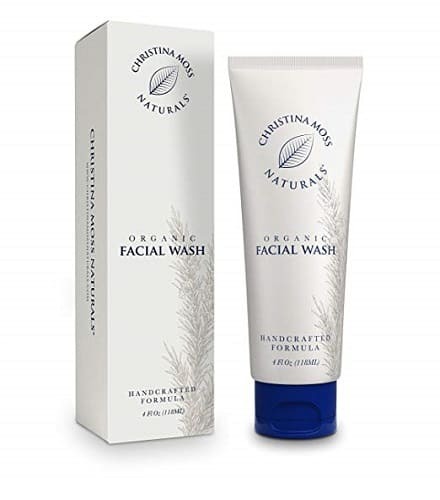 Appropriate for all skin types, especially for sensitive one and skin prone to acne, Christina Moss Naturals Wash is gentle to your face, yet it cleanses it thoroughly from makeup, oil and dirt. The formula is made with organic and natural ingredients only, with no harmful chemicals whatsoever. Only a dime size of the product is enough to cleanse your whole face. The wash comes in a tube of 4 oz and because you need very little amount, it will last you for very long. Rosemary that’s included in the blend has antiseptic properties and protects the skin from the potential damage caused by the sun. Olive oil will decrease the acne you may suffer from, while aloe vera will soothe and hydrate the skin. Finally, coconut oil moisturizes the skin, shrinks pores and heals irritation. 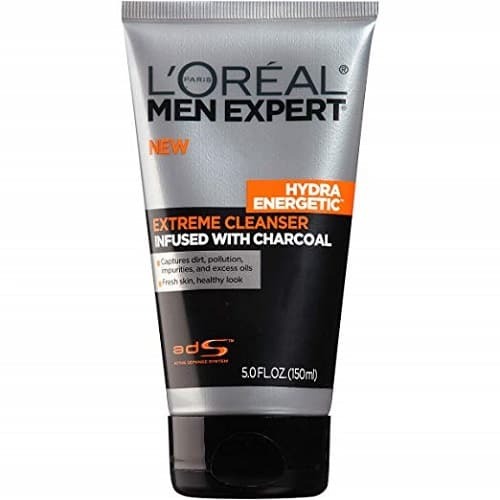 Infused with charcoal, L’Oréal Paris Expert Hydra Energetic is very efficient in getting rid of clogged pores, oil, shine, dirt and impurities from your face. After only a few uses, you will notice that your face looks much cleaner and refreshed. Because it contains charcoal, the texture of this product is black. When you apply it on the skin, it forms a nice, rich white foam. Use it twice a day on wet skin, focusing mostly on the chin, nose and forehead areas. About a dime size is enough for one use because a little can go a long way. A nice, masculine smell is another thing you will probably like. In case you have very sensitive skin, it might be good to look for some other option as this product can cause you dryness and itchiness. 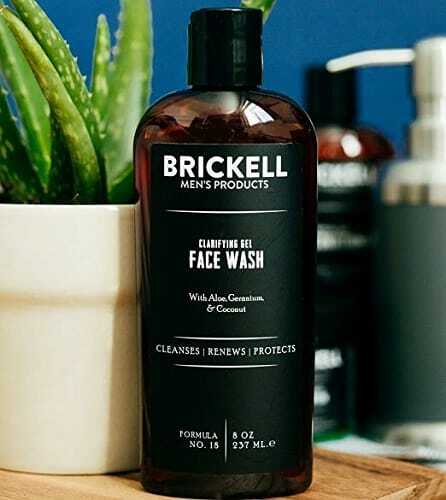 A perfect solution for men with normal or oily skin, Brickell Face Wash will help keep your skin oil and shine free all day, without overdrying it. Entirely organic ingredients include coconut, aloe vera and geranium that work together in washing away the excess oils, cleaning impurities and renewing your skin. Also, beneficial antioxidant properties of aloe vera penetrate deep into the skin to ensure that it’s properly moisturized. If used twice a day, this cleanser should last you for at least two months. However, as the bottle is 8 oz, chances are it will last you for much longer. There are no sulfates, parabens, phthalates and other harmful ingredients included in the mix. After the application, your skin will feel refreshing and smell like peppermint, eucalyptus and lemongrass. 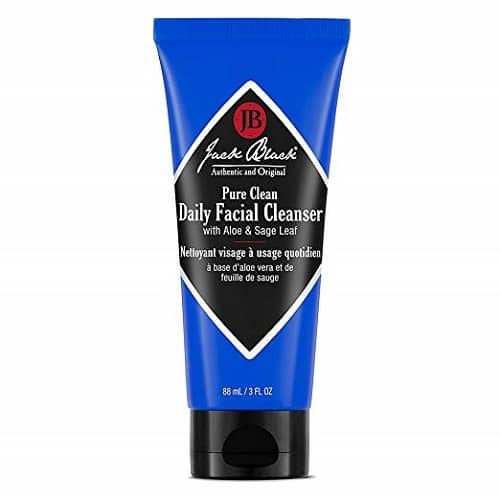 After only a few weeks of consistent use of Jack Black Facial Cleanser, your skin will become much clearer, softer, hydrated and fresh. By penetrating deep into the pores, it removes the accumulated dirt and oil, preventing acne from appearing. If you have some previous acne scars, this product will help in healing them. Your skin won’t be left too dry, oily or greasy after the application, nor will there be any residue. The bottle is 3 oz, but it lasts forever, providing that you need just a little amount. The pump handle, which is something problematic for most face washes, in this case is pretty convenient and allows a smooth application. Finally, the product has a nice scent that’s not strong or overwhelming at all. The charcoal based formula of Barbary Face Wash is developed to work on all skin types including sensitive one or skin prone to pimples. 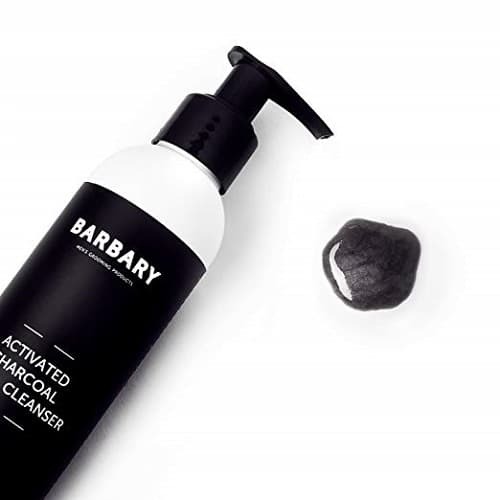 Activated charcoal profoundly cleanses the pores, removing all the impurities, blackheads and excess oils, leaving you with cleaner, moisturized and rejuvenated skin. 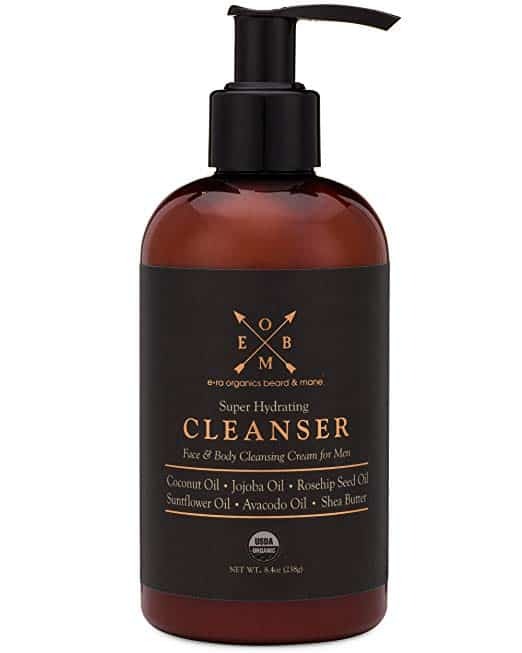 Along with the other premium, organic ingredients, this vegan-friendly cleanser keeps acne under control, alleviates redness and has the anti-aging effect. The product doesn’t contain any harsh chemicals, parabens, gluten or dyes that can damage your skin. In addition, it smells pretty awesome. However, a lot of customers claim that, although the bottle is 6 oz, it looked like there is only 4 oz of product inside of it. Smoother, nourished and deeply hydrated face skin is what Era Organics Cleanser provides. It also makes skin softer, cleaner and refreshed than ever before. Chemicals, sulfates and other toxins that most face washes contain can’t be found in this product, therefore, making it pretty safe for sensitive skin. Organic ingredients such as chamomile, coconut oil, shea butter, jojoba oil and other work in fighting premature aging signs such as wrinkles and fine lines. Men who fight acne, blemishes or ingrown hairs won’t have to deal with these problems anymore, as this product is very effective in eliminating them. By removing oil and dirt buildups, it reduces inflammation and redness you might be experiencing. The fact that it’s 8 oz means you will be able to use it for a long time. 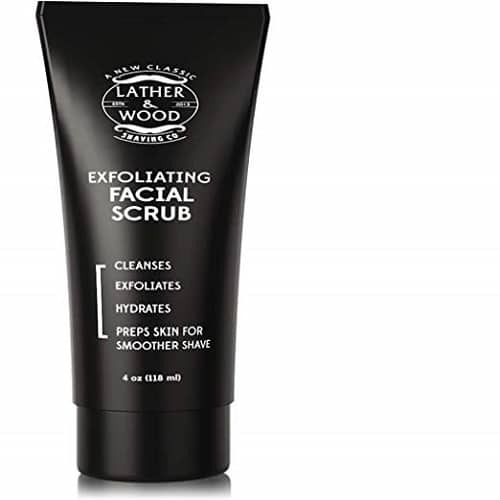 It doesn’t matter if you have oily, dry or normal skin, Lather & Wood Face Scrub will exfoliate your face and remove piles of dead skin and grime from it. You will be left with moisturized skin, without any breakouts. The formula doesn’t contain any harsh chemicals that can harm your skin. It’s based on organic ingredients, such as jojoba oil that have many benefits. While some other face cleansers have a bad and lingering smell, that’s not the case with this one. In fact, many men like it precisely for its subtle masculine scent. However, if you have very sensitive skin, look for some other wash for your face. 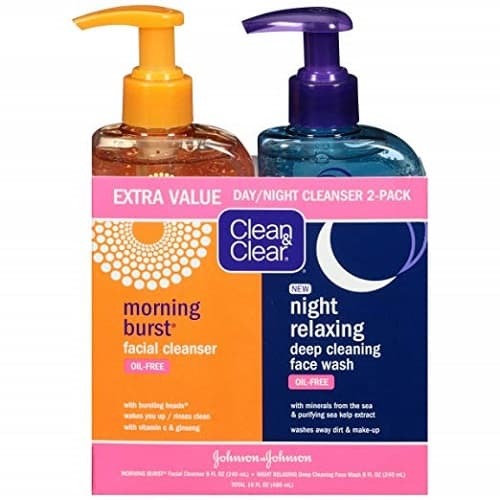 Coming in a pack of two, Clean & Clear Face Wash will last you for a long while as you will get 16 oz of product for the price. Because it has hypoallergenic and non-comedogenic properties, it won’t make your skin too dry. Nevertheless, it’s not for men with very sensitive skin because it can cause them rashes. The list of ingredients includes ginseng, vitamin C and cucumber extract that will help you remove dirt, oil buildups and grime from your face once and for all. The result is nourished and refreshed skin. One of the washes smells like orange, while the smell of the other one reminds of lavender, judging by the words of the seller. However, most customers claim that they both smell odd and a bit unpleasant. Taking all into consideration, this product can’t be beaten for the price. If you have a beard, using a quality face wash will make it look and feel better. Look into the best beard butters and best straight razors to achieve your desired look. We hope this guide has narrowed down your selection for the best facial cleanser for you. What is the best face wash for men with dry skin? Our recommendation is InstaNatural Vitamin C Facial Cleanser. What is the best face wash for men with oily skin? Our recommendation is L’Oréal Paris Skincare Men Expert Hydra Energetic Facial Cleanser. What is the best face wash for men with acne? Our recommendation is Christina Moss Naturals Wash. Photos from: .shock / depositphotos.com, belchonock / depositphotos.com, macrovector / depositphotos.com.